Experience an unmatched level of jet management, word-wide consulting, and jet ownership services. Entrust Alerion with your private aviation needs, and you soar to new heights. Experience the luxury of private jet ownership, with the convenience of limitless access anytime. With a private jet readily available, your travel plans will never succumb to any changes in plans. Enjoy the comfort of knowing from take-off to landing, Alerion has you and your jet covered. 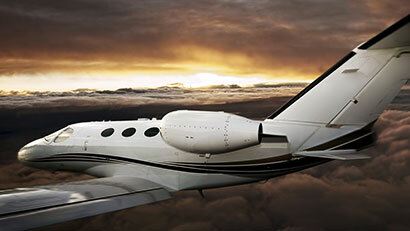 For over 20 years, Alerion Aviation has served a broad range of clients with the purchasing and sales of private jets. We guide you through each step of the acquisition process to assist you in achieving your best investment choice. With decades of experience in aircraft sales, Alerion Aviation is an expert in the industry. We have the extensive knowledge and experience to steer you away from problems, avoid unexpected surprises, and maximize your investment. Experience unmatched comfort & flexibility with whole private jet ownership. Private jet ownership allows you unlimited access to your private jet when you need it most, while generating revenue when you are not utilizing it. Never again worry about the maintenance and management of your aircraft. As an industry-leader in safety, Alerion's maintenance team is available anytime, worldwide. For over 20 years, Alerion Aviation has served a broad range of clients with aircraft sales. Alerion creates strategic sales plans to assist you in the purchase or sale of your personal private jet. We take a practical and personal approach to each sale. Alerion walks you through every step of the sales process to consolidate and/or eliminate your asset’s operational expenses. Through comprehensive aviation services, Alerion provides a practical approach to private jet acquisitions and sales. Alerion Aviation provides consulting services to help you with purchasing, selling, outfitting, and/or operating your private jet. We have provided leadership direction for new and used acquisitions to a broad range of clients, positioning ourselves as a boutique transactional company. As an expert in the industry, we maximize your value with the extensive knowledge and experience required to guide you through aircraft sales. Come experience the meaning of excellence in aviation. From take-off to tarmac, handling and maintenance, Alerion provides industry leading service for the highest level of flight safety. Alerion’s maintenance and management programs ensure the safety and performance of your aircraft. Alerion is a nationally recognized leader in operational safety and one of only a handful of elite companies who meet the highest industry audit standards. To ensure the safety of our members, all Alerion pilots are Wyvern Wingman certified operators. Our aircraft have received the ARG/US Platinum rating, having completed a stringent on-site audit under the EASA standards. With Alerion, never compromise your safety. Learn more about our maintenance and safety practices. For 20 years, Alerion has developed strategic sales plans for the procurement, acquisition, and selling of private jets and operational expenses. If you desire the ultimate experience in convenience, flexibility, and dedicated flight, let Alerion serve as your private airplane sale transactional partner. Speak to an aviation consultant who will find the perfect private aircraft for you, or see what we currently have available for your next investment. Alerion assists in developing and facilitating purchasing plans to meet your investment needs. Never again be at the mercy of inclement weather or a last-minute change of plans. 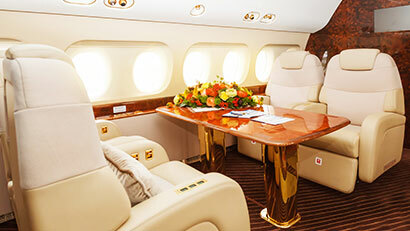 Fly anywhere, worldwide, with the comfort of having access to your jet for every single flight. Call our experienced brokers and begin your journey to endless possibilities. Explore a few of the planes in our word-class jet charter fleet. With Alerion’s maintenance services, you will never need to hire and maintain your own crew. Our private jet maintenance team is available for service at our premiere facilities or a location of your choice. Our maintenance staff has over one hundred years of combined experience on mid to large size jets and is capable of performing an array of maintenance services from problem solving to major service. Rest assured knowing all maintenance is completed with the proper certification and the best quality workmanship available in the industry. Alerion is experienced in managing global maintenance programs for aircraft owners all over the world. Our expertise lies in complex maintenance projects, and our jet management team is available anytime, anywhere. 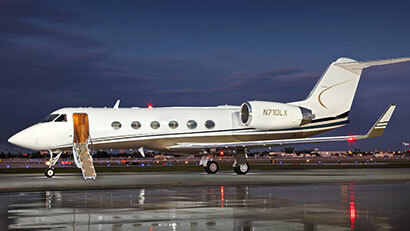 Alerion utilizes only premier facilities, and your aircraft will receive the finest of care. Alerion Aviation delights in special maintenance projects, from cosmetic upgrades to engine overhauls. Our unremitting attention to detail and commitment to service will ensure the maximum value of your aircraft asset. Ask our aviation specialists about intelligent interior refinishes, awe-inspiring exterior paint schemes, or for a detailed consultation. All of our is properly certified and of the finest quality. Maximize the return on your investment with Alerion’s management program. We take the stress out of owning an aircraft by handling every detail of the management, maintenance, and revenue generating processes. We offer 24 hour domestic and international flight operation & scheduling. Alerion's comprehensive maintenance, detailed financial analysis, and life cycle budgeting. We ensure that your asset remains a revenue generating tool in peak operating condition while retaining its maximum value. Own the sky with Alerion and experience excellence in aviation.